I know I have told y'all before, but I very much enjoy reading what I call Spiritual Christian Women Books. I usually have one I'm slowly reading through at all times. I didn't grow up going to church, so consider myself to be a self-taught Christian to a certain extent. In a way, it has probably made me a little more picky with which of these books I really enjoy, because occasionally they can come off a little heavy handed for someone who hasn't been raised in church doctrine, etc. So for some people, my books might be a little fluffier than they like but all of them have helped me in one way or another. 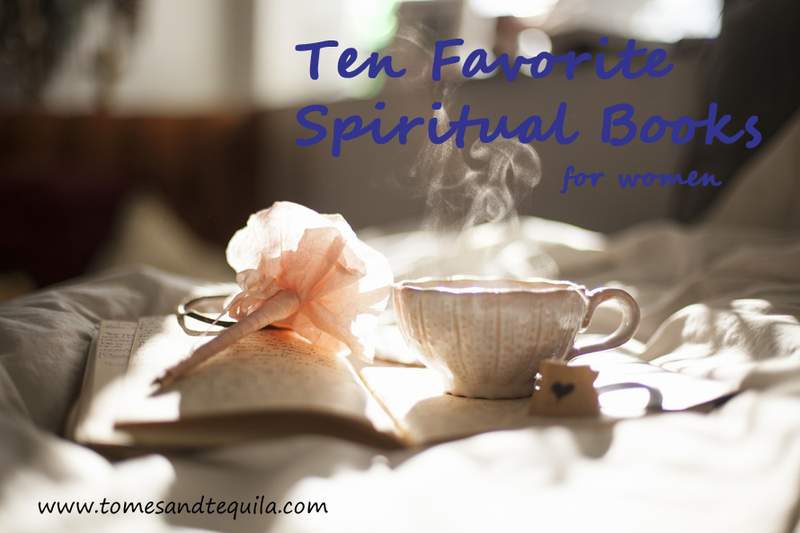 So for this Wednesday's Top 10 I'd like to introduce you to a few of my favorite Spiritual Christian Women books. This book was my introduction to Marianne Williamson, and is the first devotional I have really and thoroughly enjoyed. I guess for some reason I always thought she was more new agey than my tastes, but clearly I was wrong. My Kindle copy is covered in highlighted passages...things I wanted to re-read, memorize and mull over. I honestly think I could write an entire review on this book, just filled to the brim with little tidbits that I gleaned. The fun thing about nonfiction reviews is I don't have to worry about spoiling something! But instead I'll give you a nice long quote to give you an idea of what all I highlighted. "How often do I not notice the miracles all around me, or honor all the kindness shown me, or allow myself to fully embrace the good that's in my life? Today I remember that every day is precious, every heart carries within it the spirit of God, and every event contains the platform for a miracle. May I not be blind today to the awesomeness of life. May the days be gone when I took for granted all the blessings in my life. May my eyes be open, that I might see more beauty; may my ears be open, that I might hear my truth; may my spirit be open, that I might feel the tender touch of God. May I not be tempted by the darkness of the world to think that God is gone, or lured into the thinking of the world to ever doubt love's power. God is here, love is real, and I am safe. These things I know and will not forget. Amen"
I truly think this book is amazing, and definitely worth picking up a copy of. I have dabbled in her other books, but this one was a real winner. 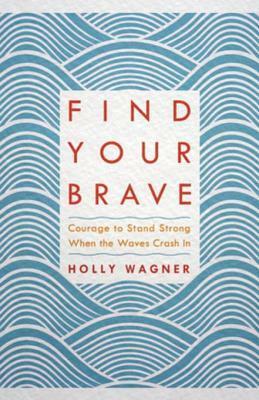 Find Your Brave by Holly Wagner is a no-brainer for this list, as I exclaimed quite loudly how much I loved it over here. I think books, just like people, have a tendency to come into your lives when you need them. I clearly needed to read this because it is another one covered in highlighter. 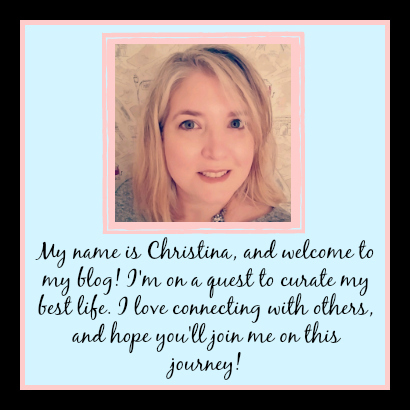 I will try not to gush on and on (because you can just read my review!) but I think this is a great book to give to your friends and family when they are going through a difficult time. There are some really good gems of practical advice that you can squirrel away for when you need it. I love when books don't just tell you grand ideas, but actually give you hows and practical tips for applying them to your life. This one hands out the plans. This is another one I already reviewed over here. 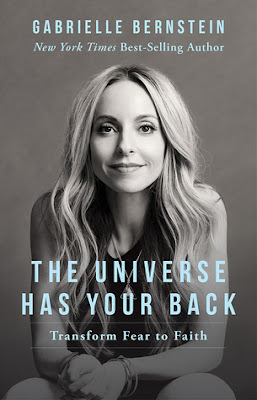 I feel like I really owe Gabby Bernstein an apology for thinking she was too hip and "spiritual" for little ole me. She is considered the Marianne Williamson for younger folks. I genuinely got a lot out of this book. It is one where I replaced "Universe" with God...as she says you can in the beginning of the book. And once I did that...bam...it all hit me. 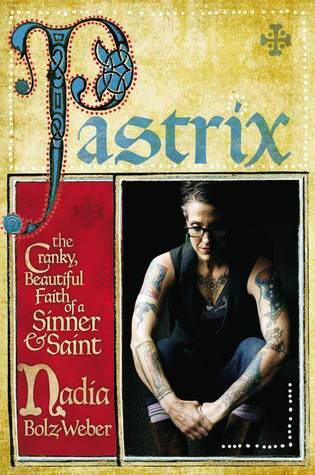 This "Spirit Junkie" is all over social media, so maybe take a peek at some of her stuff...and then if you find it potentially interesting, pick up this one, which just came out a couple of weeks ago. And don't be put off by the meditations and such (like I was at one time)....because for the most part, prayer and meditation can be very similar things. Jen Hatmaker cracks me up. I find this lady to be SO FUNNY...and I think some of her detractors don't realize that a lot of the time she's poking fun, and normally at herself. But this book combines two of my favorite topics; spirituality and minimalism. You could call it a gimmick book, one not of a year but of 7 months, but I don't mind that sort-of thing especially if you can get something out of it. So Jen spends a month each fasting from things she believes she uses in excess. 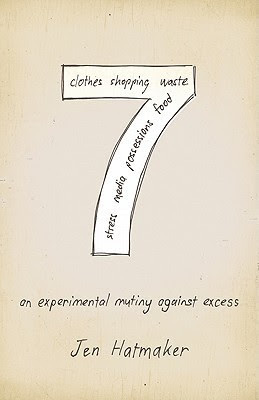 For example, in her month on clothes she only wore 7 items....food she only ate 7 types, etc. "Would Jesus overindulge on garbage food while climbing out of a debt hole from buying things He couldn't afford to keep up with neighbors He couldn't impress?" Some of the months resonated more with me than others, but I definitely think there is something to be said for the point she is trying to make. 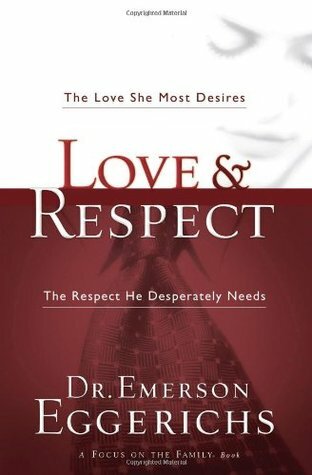 Okay, I have a few marriage books in here...and most revolve around the title of the book below this one, Love and Respect. I have been married for almost 23 years, and I'm still continually trying to build up my marriage and grow in my relationship with my husband. Shaunti Feldhahn has done a series of relationship books based on surveys and research she has done on what men (and women in the other half of this) really feel in their marriages. A lot of it builds on common sense, but there are other things that I found almost shocking. It really is a peek into the secret thoughts of men. "Not surprisingly, men said they judge themselves--and feel that others judge them--based on the happiness and respect of their wives." There are going to be sections that aren't very popular, like the one going into how visual men are and how not taking care of your self and your body expresses your unhappiness. "What's on the outside does matter." (This is an area I really struggle in.) But this tiny little book is jam packed full of insight. This classic book has been helping married couples for years now and was given to me by my sister-in-law Twilla. It is based on the premise taken from Ephesians 5:33; "Each one of you must love his wife as he loves himself, and the wife must respect her husband". It's not a very popular point of view at this juncture in time, and a lot of women are turned off immediately upon hearing it. But I believe Dr. Eggerichs has a point in regards to the differences in a lot of men and women and what makes them feel loved. Does it apply to everyone? Absolutely not, there are definitely going to be exceptions. Can it be taken too far? Of course. Am I advocating any of that? NO. But what I took away from this book (that ran a little too long IMO) is that most men and women are different...and sometimes you need to remember that what makes you happy may not make your husband happy. *There are a lot of very heated arguments against this one by women on Goodreads...but just as many good reviews. It is almost as heated as the Proverbs 31 wife books...which I have actually read a ton of. I found Nadia Bolz-Weber's story to be quite interesting. Did I agree with all of her sentiments? Of course not. But it was an entertaining memoir nonetheless. "God's grace is a gift that is freely given to us. We don't earn a thing when it comes to God's love, and we only try to live in response to the gift. No one is climbing the spiritual ladder." 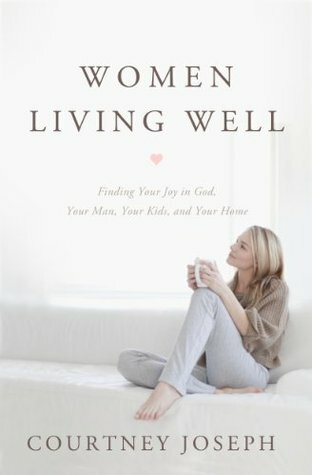 I think this book would be better for women who still have little ones at home than for someone like me with my children grown, but I still enjoyed it. I skimmed over the little kid parenting bits! Courtney Joseph is the creator of the Women Living Well website, formerly called Good Morning Girls blog. 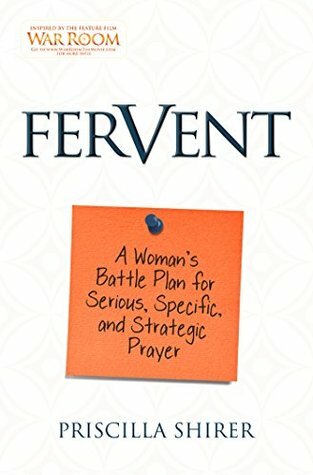 I had been on the website numerous times before I picked up this book and have used her chapter a day Bible Study programs (She uses a SOAK Bible Study method that I follow). 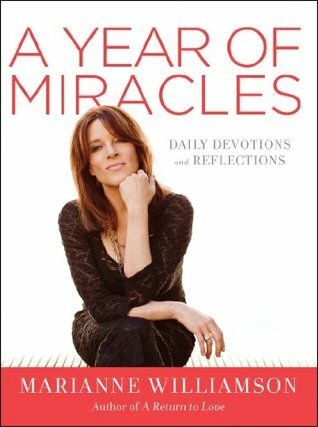 Back to the book, she really focuses on a lot of ways to bring Joy into your everyday life and find God in everyday moments. Occasionally I felt she came off as a little too perfect...I like my mentors to have flaws I tell ya...but the book had some solid info I highlighted to reflect on later. Where some of these books are silly and fun, Fervent is very serious and very very Christian. If you wouldn't call yourself devout, this one probably isn't going to be for you. I told a coworker recently that this could be summed up in two words. Pray...HARD. This book is in conjunction with the movie War Room, which I haven't watched yet. My main highlights from this one were all scripture...which I can of course find in my Bible, but I enjoy getting the highlights. If you're having a hard time...pray. If you're struggling with past issues...pray. I think the author focuses a little too much on Satan...or The Enemy...and is very fire and brimstone, etc. But the underlying basis of this book is prayer. And sometimes we need to be reminded to Pray...HARD. 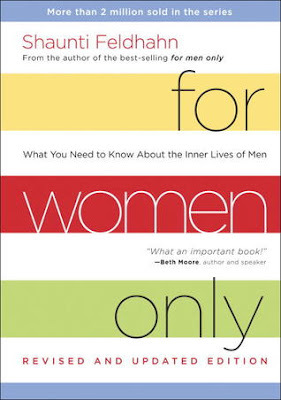 This last book is certainly not a woman book, and is spiritual more than Christian, but I found it compelling. 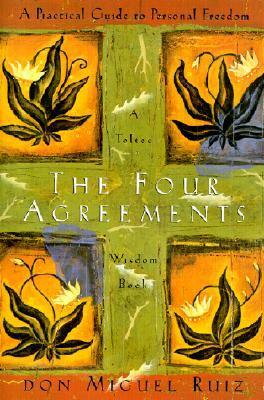 It is tiny, you can read it in one sitting, and you can memorize the four agreements with ease. But I could ruminate, meditate and conversate (it's not a word but I'm using it) on them for the rest of my life really. Be impeccable with your word. Don't take anything personal. Don't make assumptions and Always do your best. If I could continually remember those things, and live my life in that manner, it would take away virtually every issue, ill or worry I've ever had. He makes it sound so simple! I thought it was a good book, and definitely worth reading.